“chiming in silence,”…that’s like being so together with someone, that you don’t have to say anything. A wonderful phrase you invented here, Chris! Thank you Libby. 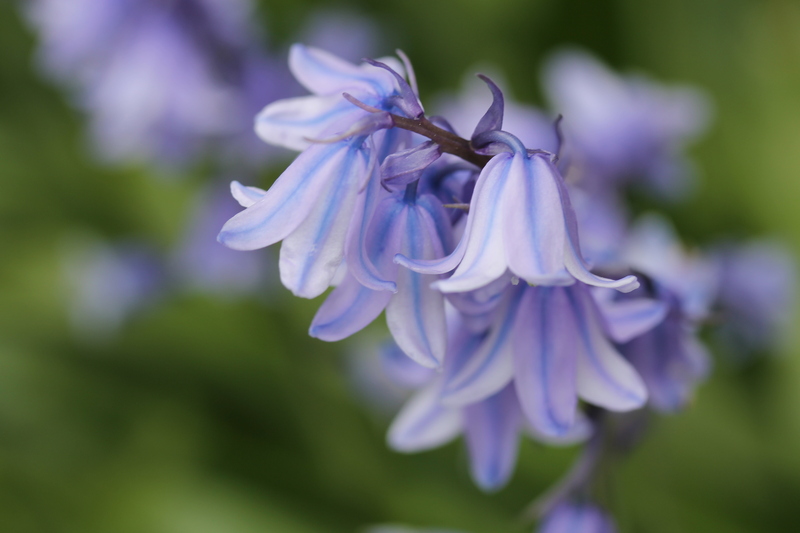 The bluebells seem particularly beautiful this year! I’ve never photographed them close up before. Absolutely stunning capture Chris, I love the colours and the words to brighten a dull winters night here. It is so crisp and clear Chris you should be very leased with it, its gorgeous. Oh how wonderful Diane! What a great thing to do! It’s a short poem that fits into a tweet on Twitter. You’ve only got 140 characters to write with and some of those characters you need to allocate for tags. So not many words at all. To be honest, if I didn’t do twitter poems, I don’t think I’d get much attention to my page at all, it’s a great way to draw other tweeters to your page, and your blog too. Thanks Suzy, I will have a look. I think this link is me! We’re waiting for ours to come out now, in our backyard. They’re already blooming in the forests. Good connection of the bells with peal and silence. I enjoy the photos on your site. Thank you so much for this lovely comment. I’ve had to have a long break from my camera as I fell badly due to MS and hurt my back so much I couldnt take any photos.